European Foods Import Export Inc. is a family owned gourmet neighborhood grocery store serving Arlington, Falls Church, Fairfax, Virginia and Washington, DC since 1992. 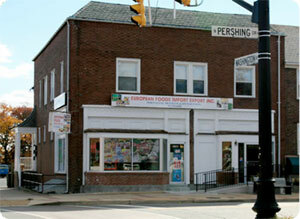 Located on the corner of Washington Blvd and Pershing Street, we specialize in Portuguese, Brazilian and Spanish foods. 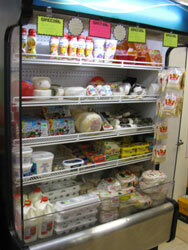 We have fresh fruits and vegetables, imported olive oil, coffee and other assorted delicacies. homemade Argentinean and Brazilian style sausage. We import fish from Portugal for sale every Thursday. We have a large variety of seafood including shrimp, octopus, squid, sardines, mackerel, and salted fishes. 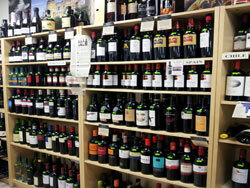 We also carry Portuguese and Brazilian cheeses, as well as 120 different Portuguese, Brazilian, and Spanish wines. 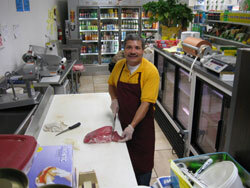 Please feel free to contact us in advance to order your imported fish, specialty meats, and special orders. We have many customers who are new to the area. New employees from the World Bank and many Embassy workers find our goods and services to be authentic. Our store will help you feel more at home even though you are in another country. We can help you when you are feeling homesick for your favorite foods and products. have been enjoying our services for many years. We also provide delivery services up to 15 miles from our store.